No matter the scenario, Ram trucks have certainly taken the all new Ram 1500 truck to the next level. Helping ensure that Ram truck owners conquer those adventure goals, or complete those high energy housing and lawn maintenance tasks. Yes. The all new Ram 1500 truck has a lot of power, can haul heavy equipment and has a proven track record with its phenomenal towing capacity. However, do not discredit the Ram truck for its family friendly atmosphere. Whether you’re coaching a sports team and need all the room you can get for the sports equipment or attending a sporting event with the family, 2017 Ram 1500 has what you need to worry less about packing and focus more on sharing action packed memories with family and friends while riding comfortably to your next adventure. With the available RamBox Cargo Management System, it’s more than just a toolbox. 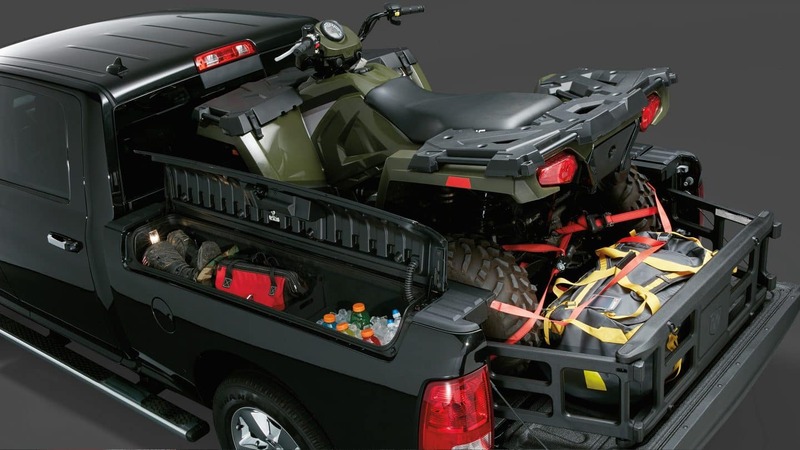 The available Class-Exclusive RamBox Cargo Management system is a lit, secure, durable and drainable storage system incorporated into the side rails of your truck bed. Also, with the available Class-Exclusive AllSecure Central Locking System, you can lock and unlock your cargo box and the rest of your vehicle with the push of a button. 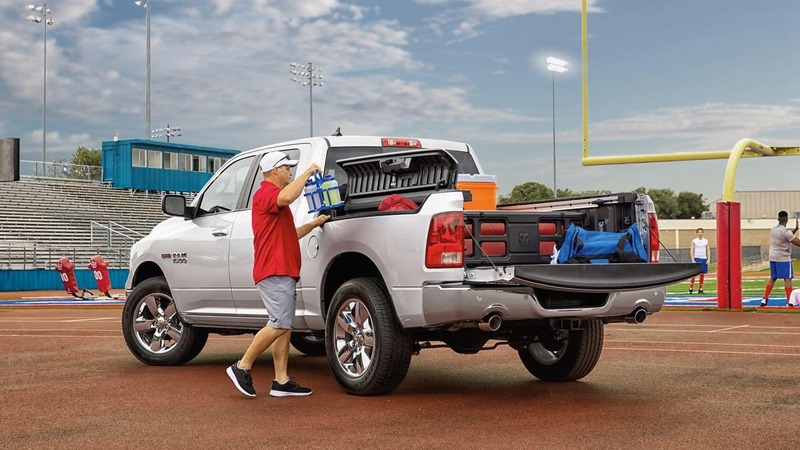 This is a great feature for tailgating at sporting events or hauling important tools for your daily commute to the job site. Keep in mind, the exterior doesn’t offer all the benefits. The all new 2017 Ram 1500 hosts a luxurious interior. The 2017 Ram 1500 was designed with the comfort of their passengers in mind, giving every surface the utmost attention to quality and detail. Not to mention Ram’s attention to space, with a standard 40/20/40 split-bench front seat on Crew and Quad Cab models, Ram 1500 can accommodate up to six occupants, allowing you to bring along the whole family in comfort. All-in-all, if you’re looking for a reliable family vehicle with plenty of storage and seating space, look no further. The all new 2017 Ram 1500 is perfect for your next adventure. Don’t hesitate. Stop in today at Sorg Dodge and test drive one of our new 2017 Ram 1500 trucks. We look forward to having you here at Sorg Dodge where buying a vehicle is easy from the start.